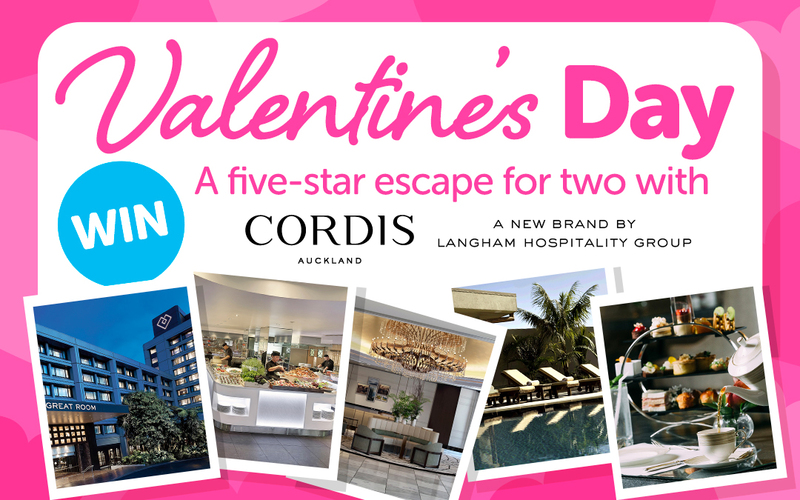 Win a five-star escape with Cordis, Auckland! This Valentine’s Day, GrabOne has rounded up all the perfect presents, date night delights and romantic retreats to help you create more memorable moments with the one you love. And thanks to The Langham Group, we’re giving you the chance to take your gift giving to the next level! Luxury has a new name: Cordis. Formerly The Langham, Cordis, Auckland has undergone a major transformation – rebranded and fully refurbished, it’s a new five-star hotel with the same great service you know and love. So, why not try your hand in something a tad more luxurious this Valentine’s Day and enter for a chance to astonish your significant other with a five-star Auckland escape? It’s sure to make for one of the more memorable Valentine’s gifts you’ll ever give. The stage is set, the room prepared, the food… well, it’s not yet cooked but will be upon your arrival. All you need to do is enter the draw and keep those fingers crossed. Entries close Tuesday, February 13th 2018. Click here for full terms and conditions. An experience of ultimate luxury to be shouted from the rooftops – what a wonderful way to celebrate Valentine’s with my amazing husband. Got to enter for this competition, as this Hotel is where I met my Partner, 25 years later we are still happy and revisited the Hotel many times.